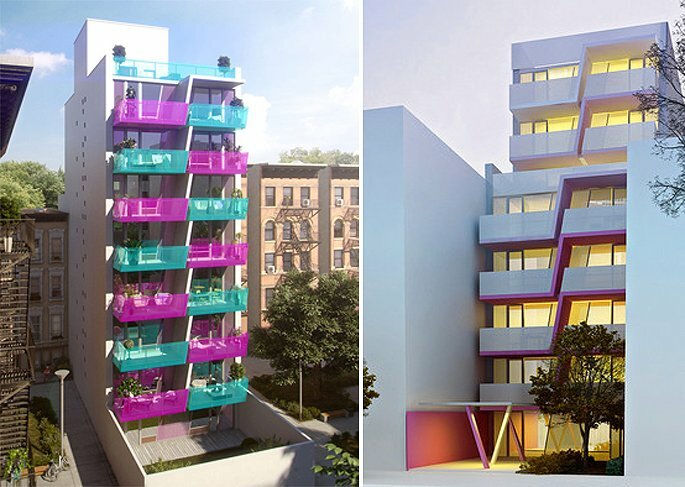 Karim Rashid‘s condo at 329 Pleasant Avenue just can’t seem to win. Weeks ago, the designer was forced to scrap the building’s cyan and magenta color scheme for a more subdued palette, and now DNA Info reports that the city has issued a partial stop-work order on the building. The halting of construction comes after the city received complaints from neighbors that their foundations were being damaged by digging and careless workers. But the greatest victim in all of this? How about this Buddha statue which was decapitated by a construction worker. Officials stopped construction Wednesday morning when it was determined that the crew had failed to protect the adjacent properties. Workers also went about excavation haphazardly, knocking down fences which caused cracks in the sidewalks. They also failed to properly brace holes which resulted in the ground collapsing under at least one home. “The [DOB] inspector told me I shouldn’t be back here, the land could continue to destabilize,” Laurena Torres, who lives at 452 East 118th Street, told DNA Info. Her home sits right next to a recently dug 11-foot hole that has led to severe damage to her property she estimates will cost several thousands of dollars to fix—all out of her own pocket. Many other residents along Pleasant Avenue fear the same for their own homes, and others around the site have stopped using their outdoor spaces altogether. This isn’t the first time that the developer, HAP Investments, has run into trouble. In April, construction at another HAP property located at 2338 Second Avenue was halted for the very same reasons. Neighboring buildings suffered from cracks running up and down the inside and outside walls. Conditions were eventually improved and the stop-work order was lifted October 6th. 329 Pleasant Avenue will need to see the same happen. “In order to have the order removed, they will need to completely remedy the original condition for which the order was issued and have the department inspect again,” a DOB inspector told DNA Info.